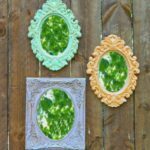 The findings you use in your jewelry designs can make the difference between a professional looking piece fit for a boutique and a summer camp-esque craft disaster. Why put all the work into creating a beautiful piece of jewelry if you’re going to finish it off with lackluster findings? Nunn Design has just the components you need to bring your jewelry creations to the next level, and we’re giving away a set of findings from the Nunn Design Summer 2012 Collection for free to one VERY *lucky* winner! The Nunn Design Summer Collection is romantic yet industrial, ornate yet refined. It’s feminine without being too delicate and sturdy without being too bulky. Incorporating these components in your jewelry designs gives your pieces an instant antique edge and elegance that just can’t be achieved using basic findings from your local hobby store. I should know; I’ve worked with some of these findings myself and have absolutely loved the results. 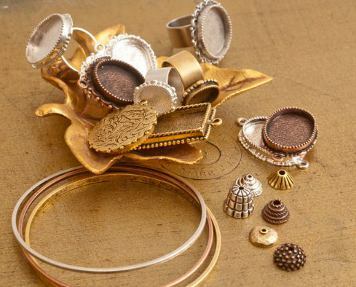 With brass bangles, bead caps, ornate pendants, and adjustable rings, there are components for almost any jewelry creation included in this collection. These findings are elegantly and thoughtfully designed, incorporating lovely little details that complement your own creations without overwhelming them. I personally am in love with the pendant frames and adjustable rings; they are perfect for working with resin, my favorite jewelry making medium. 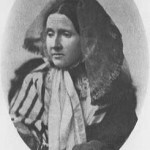 Yet the bangles and bead caps provide plenty of creative beading possibilities as well. Don’t miss your chance to win a set of findings from this stunning collection! The giveaway ends August 13, 2012, and you can enter once daily, so keep coming back to improve your chances! Which piece from the Nunn Design Summer Collection would you be most excited to work with? 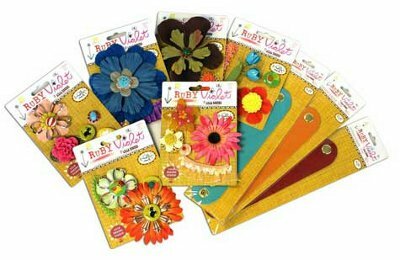 Win Soft Flex Beading Wire from AllFreeJewelryMaking! Too intimidated by wirework? Bored by stringing? Soft Flex Beading Wire combines the best aspects of beading thread and jewelry wire in one. Pliable enough to manipulate with ease, yet sturdy enough to hold its shape and maintain structure, the Soft Flex Beading Wire is a product that stands alone in the jewelry making arena. Soft Flex Company was kind enough to gift us a Trio of Soft Flex Beading Wire (That’s three spools!) and their new project book Show Your Colors, and we’re giving them away to one lucky winner! 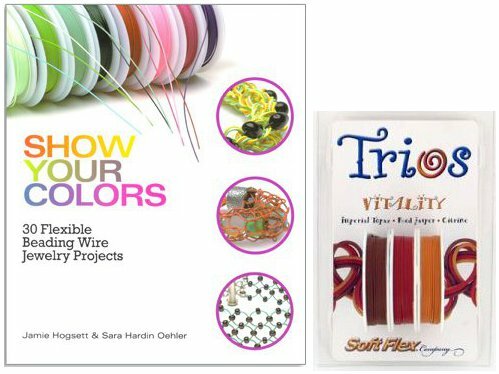 Available in complementary color packs called Trios, Soft Flex Beading Wire comes in a variety of rich and vibrant colors. (You can also buy individual spools if you prefer.) The Trio pictured here, called Vitality, is made up of a spool each of Imperial Topaz, Red Jasper, and Citrine. The names of the colors sound almost as good as they look! The wire also comes in three size options–fine, medium, and heavy–so you can select the size that suits your needs best. Not sure how to work with the Soft Flex Beading Wire? Not a problem! With the new project book Show Your Colors, you’ll never be short on design inspiration. The book contains 30 full-color, step-by-step tutorials complete with photos (and, interestingly enough, named after Cher songs, movies, and trivia), so it’s incredibly easy to follow along. 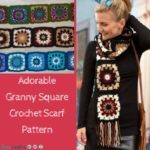 Among this project guide’s vibrant pages, you’ll find strung projects, illusion designs, knit designs, woven projects, and more. It even provides a handy color chart (reminiscent of those little color cards that come with mood rings), explaining which color palettes evoke which emotions. Here’s an example of a project using Soft Flex Beading Wire, the lush Mossy Forest Floor Necklace, so you can get an idea of what this stuff is capable of! The contest ends July 16, 2012. You can enter once daily, so return often to improve your chances of winning! What are your favorite color palettes to work in when making jewelry? Twitter Contest Tomorrow: Win with AllFreeJewelryMaking! You’re invited to the first ever AllFreeJewelryMaking Twitter contest! Join us tomorrow, Thursday June 28, 2012, at 11:00 a.m. EST for the chance to connect with tons of fellow jewelry crafters and win an awesome prize! Follow @AFJewelryMaking on Twitter. If you don’t have a Twitter account, you can easily create one for free! Log on between 11:00 a.m. and 2:00 p.m. EST. We’ll post a question on our Twitter feed and provide our special hashtag for the giveaway – #JewelryWin. Click reply, answer the question, and don’t forget to include the hashtag! Only tweets that include #JewelryWin will be considered eligible to win. Check back at 2:00 p.m. and find out if you’re the winner! That’s it! Piece of cake, right? Right. OK, now let’s get to the good stuff–the prize! One lucky winner who tweets with #JewelryWin will receive this Jewelry Basics: Tassel Earrings kit! Made by Cousin and sold by Prima Bead, this jewelry collection kit includes everything you need to make five fabulous, runway-worthy pairs of tassel earrings. In addition to a 12-page color project book, the kit comes complete with 40 findings, 33 beads, and 183 inches of chain. The project book will help you along the way, so beginners will have no problem following along. There are designs to suit every style and occasion in this kit. Go from day to night, from casual to classy with the DIY earrings you make from this comprehensive collection! Contest closes June 28, 2012, at 1:59 p.m. EST. Beads, beads, and more beads! That’s what you were in store for if you made the trip to Milwaukee for Bead&Button Show 2012. As the new editor of AllFreeJewelryMaking.com, this was my first year attending the show, and I was in bead heaven. 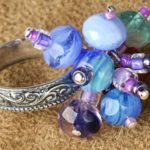 Every type of jewelry-making medium was represented among the exhibitor booths, so whether wirework is your thing, you’re in the chainmaille gang, you’re “gaga” for glass and lampwork, or you’re a loom lover, you had plenty to feast your eyes upon on the Bead&Button Show floor. Many exhibitors were giving demonstrations of their fabulous jewelry-making products on the show floor, and Kristal Wick with Alacarte Clasps and WireLace was kind enough to show us a quick and easy method for using WireLace to make a gorgeous necklace! Linda Hartung, co-owner and designer for Alacarte Clasps and WireLace, was the creative genius behind the necklace featuring this year’s Bead&Button Show commemorative bead! Isn’t it gorgeous? We also got to chat with Soft Flex Company, Beadalon, Wire-Sculpture.com, New Phase Inc., The Urban Beader, Amate Studios, Weave Got Maille, WireKnitz, Tapestry Beads, Impress Art, Crystal Clay, John Bead, and JewelryTools.com, just to name a few. It was a busy day, but we covered just about the whole show floor! If you couldn’t make this year’s show, don’t worry! The fabulous folks over at Kalmbach will begin planning for next year’s Bead&Button Show before we know it (something tells me they already have…)! Find out everything you need to know about the show at the official Bead&Button Show website, and find more Bead&Button Show 2012 recap photos on Bead&Button’s Facebook page! Do you plan to attend next year’s Bead&Button Show? At AllFreeBeadedJewelry.com, I mainly work with amazingly talented and creative bloggers who create gorgeous jewelry pieces. Alicia from Dismount Creative is no exception. The DIY jewelry projects on her blog are easy to do if you’re a beginner to jewelry making and they’re super cute and trendy! Making your own runway and magazine inspired jewelry is the way to go if you don’t have $500 to spend on a bracelet (I know I sure don’t). 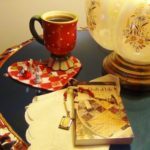 This Houston based blogger makes it easy to steal ideas from your favorite magazines and make them for yourself. 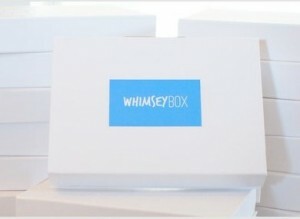 Besides creating fun DIY projects for us to run home and try out and hosting regular crafting events in Houston, Alicia also recently started Whimseybox! What is it you ask? Well it’s an awesome idea for one and perfect for crafty people! It’s a little box that gets shipped to your house every month with 5 sample craft products inside. 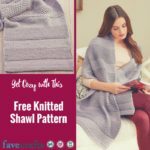 There is just enough for you to make one small craft project and test out the products. If you like them, you can go ahead and pick up a boatload from your local craft store. If not, you won’t have a ton left over and sitting around that you don’t know what to do with. It’s a great way to test out craft products without committing yourself to a whole bottle, box, etc. If you like this idea, you’ll love her projects, but don’t just trust me see for yourself! The original version of this Celine Inspired Organic Green Cuff will run you about $500. This version will fun you about $3. Win? I think so. This DIY Chunky Cocktail Ring is easy to make, but packs a big punch. Don’t let your fingers go unadorned any longer! I have to admit that this is my favorite project. This DIY Colorblock Necklace is just pieces of clay connected with eye pins, but it created a classic and trendy piece that you can wear over and over again. Another simple and classic, yet trendy idea is this Leather and Metal Pyramid Necklace. It’s also a very cool way to make some mixed media jewelry. This DIY Metal Collar Necklace is pulled right from the fashion magazines and you’ll be surprised how incredibly easy it is to make (and how much one of these runs!). The Studded Wrap Bracelet is a fun twist on the traditional wrap bracelets that have been taking over the internet and stores. Take some clay and some gold paint and you have some gorgeous Gilded Clay Jewelry! Can it get easier? Only slightly. Simple to make and a great finishing touch to an everyday outfit, this Modern Geometric Pendant is a must-make! Play around with shapes and colors to see what works best for you. Who knew that paper beads could make such a great looking tribal inspired necklace? If I was any good at making paper beads, I’d definitely give this one a try. Get out your metal snips! With a few cuts and some nail polish you can make your own Simple Chevron Necklace! I hope that you were inspired by some of Alicia’s projects! What inspires your jewelry making? As I am finding more and more projects to add to the collection on AllFreeBeadedJewelry.com, I’ve been noticing an interesting trend. 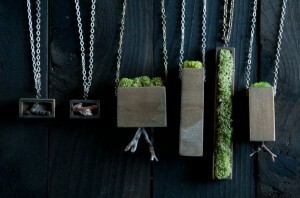 Little terrarium necklaces and other tiny garden jewelry have been budding into the minds of artists and designers. Now, I know that the push for sustainability has been in full force for a while now and I’ve already added a ton of projects to the site that reuse, reduce, and recycle, but this is taking it to a whole other level. Actually wearing nature makes for some interesting accessories. One particularly beautiful collection comes from Mr. Lentz who was inspired to create these pieces by the Redwood forests in the Pacific Northwest. Who would have thought that you would need to water your jewelry? 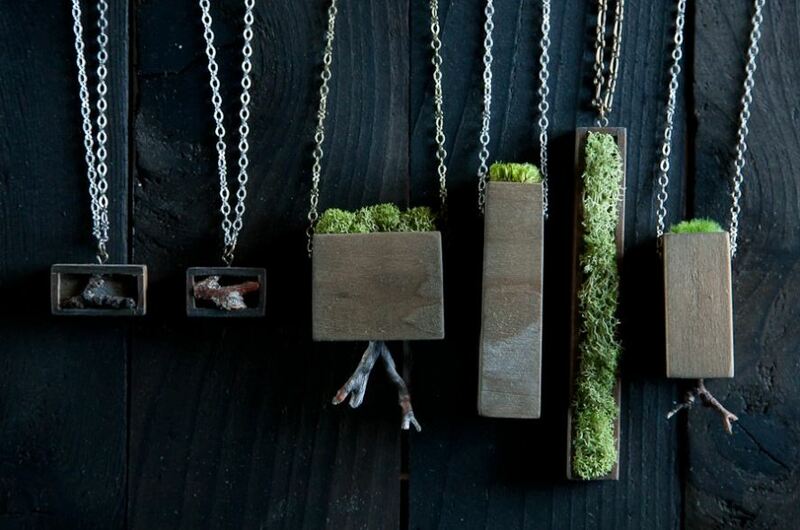 These particular necklaces are in fact real moss, but it has been dried and preserved so no watering needed. I fell in love with these as soon as I saw them and set out trying to figure out how to make my own. 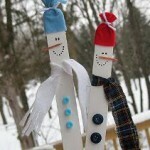 Of course, I’m not quite as talented as Mr. Lentz, but I did find a cute and easy project that would work. This one, however, does require a little watering! It doesn’t quite have the same earthy feel as Mr. Lentz’s necklaces, but this Mini Terrarium Necklace is still super cute and let’s you wear nature around your neck. I would love to find more tutorials for different versions of the terrarium necklace, but for now I’ll have to content myself with some of the other recyclable jewelry making projects on the site. This Paint Chip Earring tutorial is great for anyone who has just finished a big paint job and has a lot of the paint sample left over. Those samples are good, sturdy paper that usually just gets tossed. Next time, make some pretty earrings to match your favorite outfit. This next project is for the more advanced jewelry maker. You will need some simple metal working tools to get you started, but if you or someone you know is a coin collector then this Coin Collection Ring would make the perfect gift. This 50 Cent Toy Machine Rings project requires not jewelry findings and no jewelry making experience. It’s the perfect activity for a fun afternoon with the kids in these long hot days of summer, especially if your family is the kind that drinks a whole lot of juice. 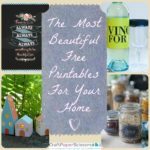 All of these projects are a great way to recycle items from around the house. Of course, the Redwood forest inspired necklaces are the ultimate reminder to mind nature a little more in our lives, but these quick little projects are the perfect way to take that into action and recycle and create at the same time. What recycled projects have you come up with recently?